from 80 pcs. 0,51 EUR ea. 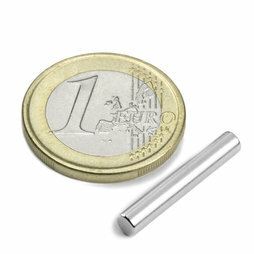 This slim rod magnet is wonderfully suitable for combining with steel spheres. A pyramid with 10 storeys require 286 spheres and 1320 rods! Naturally, you can also build pyramids with a quadratic basis.